The 116th Congress is underway. In the background of a partial government shutdown, lawmakers are getting their committee assignments. At Benton, we keep a close eye on two key Congressional panels because of their jurisdiction over many telecommunications issues and oversight of the Federal Communications Commission: 1) the House Commerce Committee's Communications and Technology Subcommittee, and 2) the Senate Commerce Committee. Below we take a look at some key telecom policymakers in the 116th Congress. On January 15, House Commerce Committee Chairman Frank Pallone, Jr. (D-NJ) announced the chairs and full Democratic rosters for the committee’s six subcommittees. Leading the Communications Subcommittee will be Rep. Mike Doyle (D-PA). the Local Community Radio Act of 2010 (Public Law 111-371), which substantially increased the number of low-power FM radio licenses the FCC could issue, significantly increasing the diversity of voices and views available on the FM radio dial. the Do Not Call Improvement Act of 2007 (Public Law 110-187), which eliminated the need for consumers to sign up for the federal Do Not Call Registry every 5 years. Chairman Doyle said his agenda includes protecting net neutrality, investing in broadband infrastructure, and "providing Americans with the privacy and data security protections." Recently, Chairman Doyle gave an early look at how the new subcommittee majority may approach net neutrality legislation in the new Congress. "One of the things our committee can do and one of the things we’re going to be taking a look [at] is introducing a net neutrality bill in the House of Representatives and try to do it in such a way that it sort of concurs with what the  senators voted for so that we have a chance to get this through in the Senate,” he said. Rep. Doyle has been a frequent advocate for expanding broadband into rural areas. But he has sparred with the GOP over how to pay for it. In January 2018, when President Donald Trump was making statements aimed at expanding broadband access, then House Communications Subcommittee Chairman Marsha Blackburn (R-TN) said she expected to introduce several pieces of legislation aimed at removing barriers to broadband expansion into rural areas. Rep. Doyle also joined Sen. Ed Markey (D-MA) in drafting a letter to then-FCC Chairman Tom Wheeler urging it to use its authority to promote community broadband and joined as co-sponsor to Rep. Anna Eshoo’s (D-CA) Community Broadband Act (H.R. 4814). When it comes to spectrum and 5G, Rep. Doyle released a discussion draft of legislation intended to free up spectrum and accelerate the deployment of 5G wireless technologies. “Getting additional spectrum on the market will help fuel the growth of technologies that are projected to expand dramatically in the next few years, such as the Internet of Things, Smart Cities, and 5G wireless broadband,” he said. “This spectrum is also key to connecting rural America to the rest of the world – as well as creating faster, cheaper options for underserved areas and populations. I hope to work with my colleagues on both sides of the aisle, as well as all of the stakeholders, to advance the deployment of broadband in our country - a goal we all share.” Rep. Doyle joined Rep. Leonard Lance (R-NJ) in introducing the AIRWAVES Act in February 2018. As part of the House minority, Rep. Doyle was also a leader in efforts to protect consumer privacy. If you recall, in October 2016, the FCC adopted rules to protect the privacy of broadband consumers. The House ultimately overturned the rules with a 215 to 205 GOP-led vote passing S.J. Res 34. But Rep. Doyle was a vocal opponent of the resolution. “Broadband providers see literally everything you do online. Without [the FCC’s rules], these companies don’t have to ask before selling all that information, and they don’t have to take 'reasonable measures' to protect that information when they collect it,” he said. Chairman Doyle said it would be a priority for him in the 116th Congress to examine the collection and use of digital data that companies harvest through apps, social media platforms, geographic positioning devices, biotechnology services (think 23andMe), and wearable technology. “Right now Fitbit is collecting information on whether you exercise or don’t exercise. The question is who owns the data, and do they have the right to [share] that data,” he said in a recent interview with the Pittsburgh Post-Gazette. Jerry McNerney (CA) serves on the Wi-Fi caucus with now Subcommittee Ranking Member Bob Latta (R-OH); introduced the MY DATA Act in response to Congress’ 2017 rollback of broadband privacy rules; and introduced the Improving Broadband Access for Veterans Act. Co-chair of the Congressional Artifical Intelligence Caucus. Yvette Clarke (NY) will serve as Vice Chair of the House Commerce Committee and said net neutrality, broadband infrastructure, cybersecurity, privacy and consumer protection will be some of her priorities. David Loebsack (IA) is co-chair of the House Rural Broadband Caucus. He sponsored the Rural Wireless Act, which became law in 2018. He also worked with Rep. Greg Walden (R-OR) on the Small Business Broadband Deployment Act and co-sponsored the Precision Agriculture Connectivity Act with Rep. Latta. Marc Veasey (TX) is a new appointment to the House Commerce Committee and Communications Subcommittee. His previous priorities include defense and scientific research. A. Donald McEachin (VA) believes in making "job-creating investments in infrastructure" including expanding access to broadband internet service. Darren Soto (FL) co-sponsored the New Deal Rural Broadband Act of 2017 which would have established the Office of Rural Broadband Initiatives within the Department of Agriculture and preserved open Internet requirements. Tom O’Halleran (AZ) introduced, in 2017, the Rural Broadband Expansion Act which would have authorized $100 million in new grant funding to expand broadband in rural areas throughout the country. He also co-sponsored legislation to assist Indian tribes in maintaining, expanding, and deploying broadband systems. Anna Eshoo (CA) was the first woman to serve as the Ranking Member of the House Communications Subcommittee. She is a strong leader on broadband policy. Her accomplishments include helping to craft the Telecommunications Act of 1996; legislation signed into law to ease the nation’s growing spectrum shortage; efforts to spur the deployment of broadband in underserved areas; and legislation signed into law to permanently ban state and local taxation of Internet access. She introduced the Community Broadband Act and co-sponsored the Broadband Conduit Deployment Act. Diana DeGette (CO) is chair of the House Commerce Committee's Subcommittee on Oversight and Investigations which has oversight responsibility for the FCC, the Federal Trade Commission, and the Department of Commerce's National Telecommunications and Information Administration amoung other agencies. G.K. Butterfield (NC) has been speaking up about the need for broadband access in rural communities and among economically disadvantaged populations across the country for over half a decade. Doris Matsui (CA) strongly opposes FCC Chairman Pai's proposed cuts to the Lifeline program. She is co-chair of the Congressional Spectrum Caucus. She introduced SPECTRUM NOW Act and the Broadband Deployment Streaming Act. Peter Welch (VT) is a co-chair of the House Rural Broadband Caucus. He condemned the lack of dedicated broadband funding in President Donald Trump’s Infrastructure Plan. He sponsored the Improving Rural Call Quality and Reliability Act, which became law in 2018. He also joined in a letter in 2018 to request the Department of Education continue to study strategies to close the homework gap. Ben Ray Luján (NM) introduced the Tribal Connect Act and Broadband Infrastructure Finance Innovation Act. Kurt Schrader (OR) has represented Oregon's 5th district since 2009. He's a founder of the Problem Solvers Caucus. Tony Cárdenas (CA) is a vocal critic of recent FCC ownership decisions and opposed the Sinclair-Tribune and Comcast-Time Warner mergers. Debbie Dingell (MI) is a co-founder and co-chair of the 5G Caucus and pushes to expand broadband internet access. Frank Pallone, Jr. (NJ) (Ex Officio ) helped craft the Democrats 2017 infrastructure proposal that included $40 billion for the deployment of secure and resilient broadband, to expand access for communities nationwide while protecting privacy and promoting security by design. In addition to their telecom priorities noted above, all the subcommittee members signed onto Rep. Doyle's Congresssional Review Act resolution that would have overturned the FCC's 2017 decision to rescind net neutrality rules -- all except Reps. Tom O'Halleran (D-AZ) and G.K. Butterfield (D-NC). House Commerce Committee Ranking Member Greg Walden (R-OR) announced the Republican leaders on the subcommittees for the 116th Congress. As expected, Rep. Bob Latta (R-OH) has been named Ranking Member of the Communications Subcommittee. Rep. Latta has been a leader on a few particular issues that have come before the House Communications Subcommittee. Rep. Latta and Rep. Peter Welch (D-VT) launched an Internet of Things (IoT) Working Group in 2016. Last November, the House passed Rep. Latta’s SMART IoT Act (H.R. 6032), which directs the Secretary of Commerce to conduct a study on the state of the internet-connected device industry. 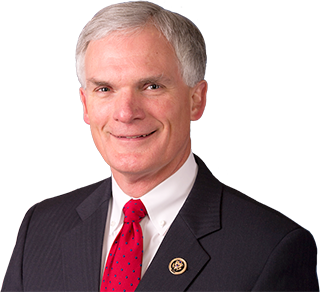 Last October, Rep. Latta, in an effort to provide a much-needed forum for Members of Congress and staff to learn about Wi-Fi-related issues affecting their constituents, launched the Wi-Fi Caucus with Rep. Jerry McNerney (D-CA). Rep. Latta also co-chairs the Rural Broadband Caucus. He introduced the House version of the Precision Agriculture Connectivity Act (H.R. 4881), which would require the FCC to create a task force in cooperation with with the Department of Agriculture to evaluate the best way to promote broadband for precision agriculture -- self-driving tractors, IoT devices, drones for crop assessment, etc. In general, Rep. Latta also seems aligned with Chairman Pai’s deregulatory agenda, at least when it comes to smaller businesses. In September 2017, Rep. Latta and Rep. Kurt Schrader (D-OR) introduced the Small Entity Regulatory Relief Opportunity (SERRO) Act (H.R. 3787) to provide regulatory relief for small businesses and entities under FCC rules. “In the telecommunications sector, smaller entities often do not require the same level of regulatory oversight as large entities — as both Congress and the FCC have recognized. While the FCC has provided regulatory relief on a case-by-case basis, small businesses and their customers would benefit from greater certainty, fewer costs, and more administrative efficiency that this legislation would provide,” Rep. Latta said. John Shimkus (IL) sponsored the DOTCOM Act to preserve congressional oversight of Internet Domain Name System from NTIA to ICANN global multi-stakeholder model -- ultimately the bill was held up in the Senate. He is a co-chair of NextGen 9-1-1 Caucus and worked with Rep. Eshoo to encourage the FCC to improve wireless E-9-1-1 location accuracy. 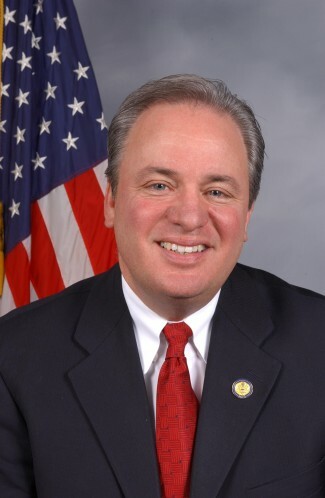 Steve Scalise (LA) sponsored the Next Generation Television Marketplace Act, a video reform bill that eliminates retransmission consent rules. With Sen. Jerry Moran (R-KS), introduced the Reducing Antiquated Permitting for Infrastructure Deployments (RAPID) Act, aimed at reducing FCC barriers to broadband deployment. Pete Olson (TX) co-chairs the Congressional Artificial Intelligence Caucus. Adam Kinzinger (IL) co-chairs House Rural Broadband Caucus. He sponsored the Rural Spectrum Accessibility Act and co-sponsored the Improving Broadband Access for Veterans Act. Both were included in 2018 Omnibus bill. Gus Bilirakis (FL) introduced the Integrated Public Alert Warning System (or IPAWS) Modernization Act to provide authorization to update U.S. communications infrastructure. This legislation modernized the dissemination of important information and alerts instantaneously over cell phones, text messaging, the Internet, and broadcasting. Bill Johnson (OH) encouraged the FCC to improve licensing rules for 3.5 GHz band. Billy Long (MO) introduced the PEERING Act, promoting more Internet Exchanges (IX or peering centers) across the country. Bill Flores (TX) was a co-sponsor of the Congressional Review Act resolution which overturned FCC consumer privacy protections. Susan Brooks (IN) co-founder and co-chair of the Congressional 5G Caucus. She introduced the National Non-Emergency Mobile Number Act, whcih would direct the FCC to designate a national dialing shortcode for mobile voice users to reach public safety personnel in critical, but non-emergency circumstances. In 2018, with Rep. Matsui, she introduced The Broadband Deployment Streamlining Act. Tim Walberg (MI) is a member of the rural broadband caucus. Greg Walden (OR), Ex Officio led the passage of RAY BAUM"S Act, which reauthorized the FCC and worked to spur the development of 5G. As mentioned, Chairman Doyle said his agenda includes protecting net neutrality, investing in broadband infrastructure, and "providing Americans with the privacy and data security protections." Priorities: net neutrality, broadband infrastructure, privacy protection, and FCC oversight. Besides those issues, undeniably, one of the main priorities of the new Democratic-controlled House Commerce Committee will be to conduct more FCC oversight hearings -- which could possibly slow the deregulatory agenda of FCC Chairman Ajit Pai. Using committee gavels to disrupt regulators of opposing parties is not a new tactic. Republicans increase their majority in the Senate in the 116th Congress, but there will still be changes in committee leadership. Republican Conference rules on chairmanship term limits mean that Senate Commerce Committee Chairman John Thune (R-SD) can no longer lead the panel as he has for the past six years. Sen. Roger Wicker (R-MS) will be the next Senate Commerce Committee Chairman, while Sen. Thune will lead the Communications Subcommittee, a position Wicker held in the 115th Congress. 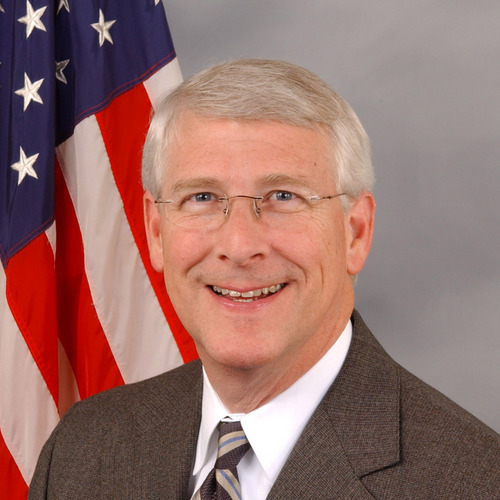 Beginning in 1994, Wicker represented Mississippi’s First Congressional District in the House of Representatives, where he was elected seven times. He has represented the state in the Senate since December 2007, when he was appointed by Gov. Haley Barbour (R-MS) to fill the seat following the resignation of Trent Lott. Sen. Wicker has focused on rural broadband and, in recent years, hammered the FCC for inaccurate broadband mapping data. “Data is critical to delivering broadband to rural communities that lack service,” said Sen. Wicker. In October 2017, Sen. Wicker joined Sen. Catherine Cortez Masto (D-NV) in introducing the “Streamlining Permitting to Enable Efficient Deployment (SPEED) of Broadband Infrastructure Act” (S. 1988). The measure would accelerate the deployment of new broadband infrastructure to both rural and urban areas by streamlining the permitting process for telecommunications equipment that is installed in locations that have already been subjected to historical or environmental reviews. The work of the 116th Congress has just begun. Be sure to keep up along the way by subscribing to our Daily Digest on communications policy, Headlines.